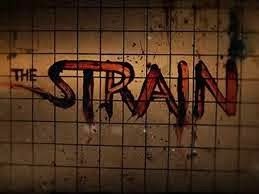 We finally get a look at a teaser for Guillermo del Toro's new FX series, "The Strain," but it's pretty brief and only shows the skyline of NYC being ominously darkened. We've covered this show before, most recently in November when we reported that FX ordered 13 episodes of the based-on-the-books vampire show. Also, back in June, we reported that the War Doctor, John Hurt, would be starring in the pilot as professor Abraham Setrakian, a survivor of the Holocaust. 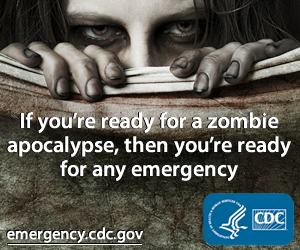 What is "The Strain" about? Because based on the teaser, "Eclipse," we don't really get to see vampires but we do know that vampires like to hang out in the dark. Something is coming...this July. "The Strain" is a high concept thriller that tells the story of Dr. Ephraim Goodweather (Corey Stoll), the head of the Center for Disease Control Canary Team in New York City. He and his team are called upon to investigate a mysterious viral outbreak with hallmarks of an ancient and evil strain of vampirism. As the strain spreads, Eph, his team, and an assembly of everyday New Yorkers, wage war for the fate of humanity itself.